The Committee on Environment, Food Safety & Public Health (ENVI) formally objected Tuesday to the re-authorization by the European Commission of the herbicide glyphosate. A majority of the ENVI members supported this objection (36 in favour, 6 against and 18 abstentions), which was voted for on Tuesday. “The re-authorisation of glyphosate for another 15 years, as proposed by the European Commission, is irresponsible and unacceptable. 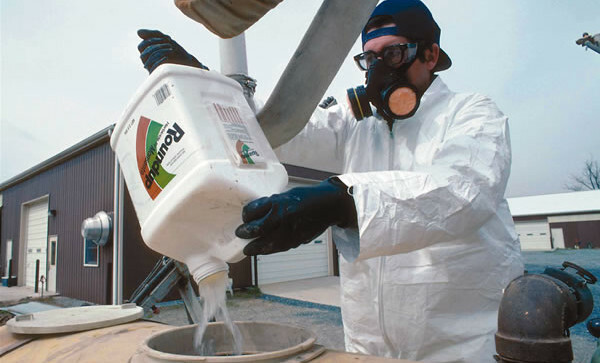 Glyphosate is one of the most widely used herbicides in Europe. It ends up in our food, in our water and in our environment. There are many indications that the substance is dangerous for human and animal health and that it has harmful environmental impacts, such as pollution of ground and surface waters,” added Kateřina Konečná, coordinator for EU political GUE/NGL group on the committee. Dutch GUE/NGL MEP Anja Hazekamp, who had already proposed an objection to the re-authorisation last year, is glad that the ENVI committee has now taken up the concerns of the GUE/NGL group. Hazekamp strongly criticises the European Commission for proposing a new long-term authorisation. “With this decision the European Commission fails to protect the health of humans, animals and the environment. Member states and more than 1 million citizens have already expressed their concerns over the re-authorisation. We will use all possible means to prevent the European Commission from contaminating our environment for another 15 years,” says Hazekamp. Today’s “agriculture” might well be the greatest technological fraud and disaster of all time—at least rivaling and perhaps surpassing the dangers of our nuclear-based and petroleum-based energy sources. We simply must come up with new paradigms. Small, organic farms networking with each other and their local communities—and replacing the monolithic monstrosities of today—would provide employment to tens of millions of people. Wishful thinking? Perhaps. But, once again, a new paradigm is desperately needed. Perhaps more a return to the old paradigm? Small self sufficient and networked community sourcing of goods and services are what built these nations. Once we started getting into economies of scale we start to realize that just because it’s good for a corporation does not mean it’s good for societal structures and the economy of a whole. Most economic models assume that the money stays in the community in which its spent- more and more often this is not the case, with the money funneled to a higher and more central level. The highest level here is not within the country in which the good was purchased or sourced but often in the country of a corporation’s headquarters. Local folks would never make decisions like this. It’s time to come back from the financial feudalism forming around the multinational agricultural corporation as the feudalistic lord.